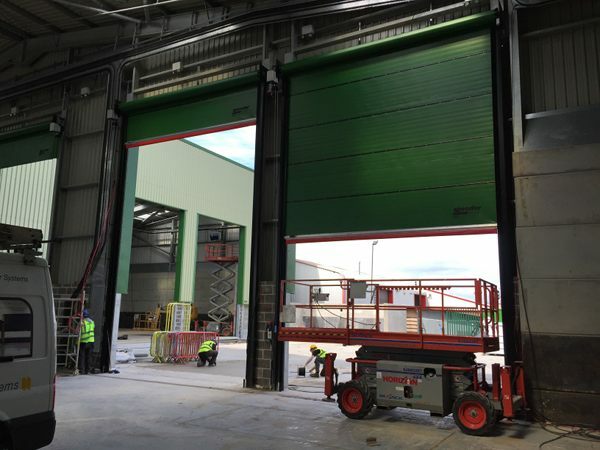 A major waste-to-energy facility, where Hart Door Systems installed 12 Speedor Storms on three sites, is seen here under construction. The green fabric was requested to comply with planning requirements. Government reports show the UK generates about 177 million tonnes of waste every year in England alone. This is a poor use of resources and costs businesses and households money. It also causes environmental damage - for example, waste sent to landfill produces methane, a powerful greenhouse gas. Accordingly there is a clear move towards a ‘zero waste economy’, creating a society where resources are fully valued, financially and environmentally. This means “we reduce, reuse and recycle all we can, and throw things away only as a last resort”.